Equipped with four G6B Mini-relays that are compact, highly sensitive, and highly resistant to dielectric surges, and that can switch 5 amps of power. 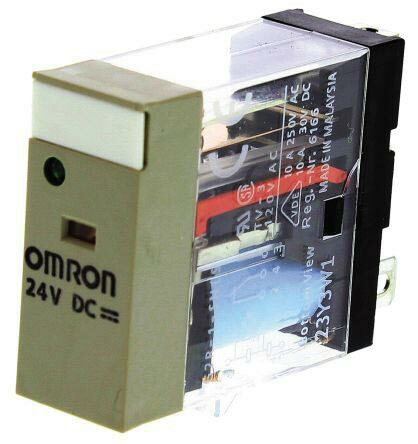 Sealed plastic construction used for relays. Easy wiring with separated input/output terminals. Special P6B Mounting Socket used to facilitate maintenance (except for high-reliability models). UL and CSA certification for standard models (except for high-reliability models). VDE certification for G6B-4BND/47BND/48BND for 12/24 VDC. DIN Track mounting, and screw mounting models are available. SSR-equipped G3S4 models are also available.